From about 1980 onwards I always wanted a Hasselblad; everything about them was appealing: preferred camera (later in life) of Ansel Adams, camera chosen by NASA for space and lunar photography. Oh, and then of course there was the legendary longevity and Carl Zeiss lenses! The 500C was introduced in 1957 to replace the 1000F, and it’s this design that really formed the basis for everything that was to follow. 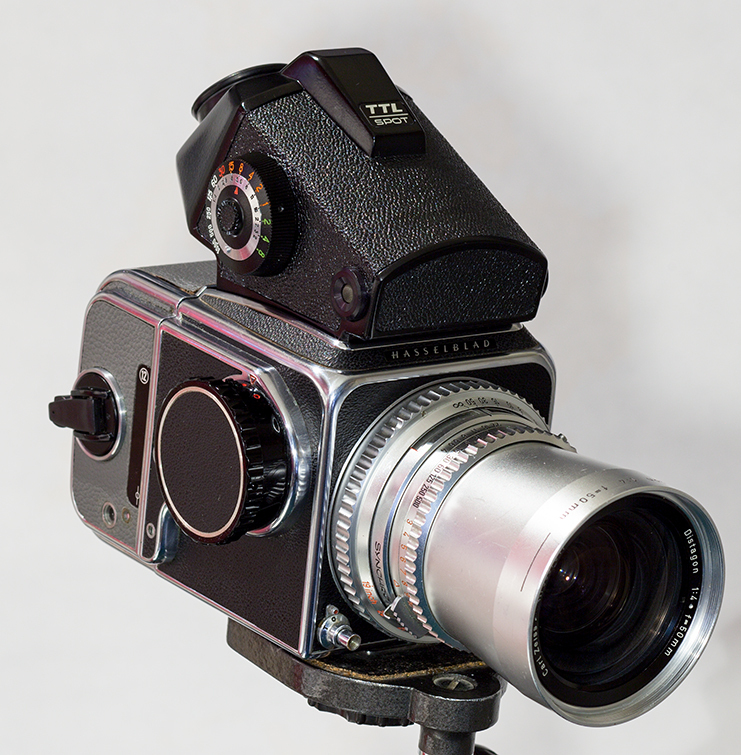 With the 500C, and the many, many other medium format cameras which it inspired, the camera is deconstructed into constituents parts – each of which is changeable. This ultimate flexibility along with rigorous attention to manufacturing quality was to ensure Hasselbald’s dominance of professional photography for decades. 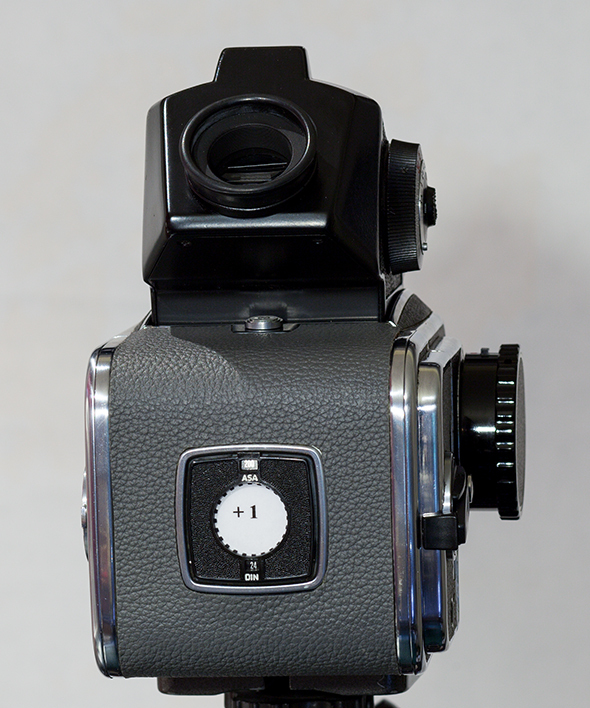 Though shown here with finder, film back and lens, the 500C is in reality little more than a box with a hinged mirror in it. 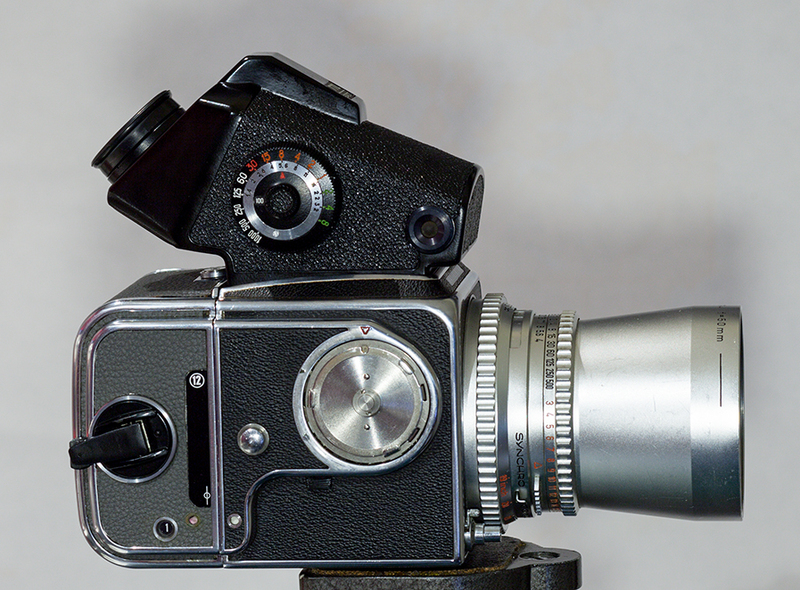 The lens bayonet mounts to the front, and contains the leaf shutter, and a magazine containing film clips to the back. 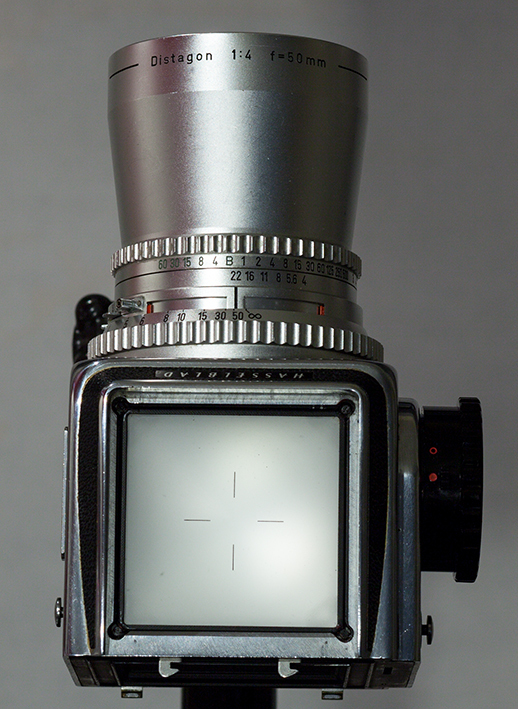 A variety of viewfinders can be slid into place on the top over the focusing screen. 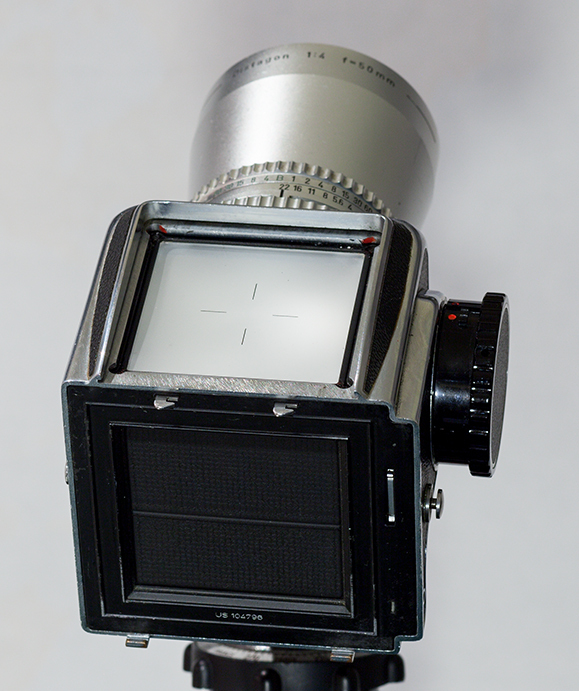 Behind the mirror box is in fact a form of focal plane shutter, but its sole purpose is to protect the exposed film surface from light during focusing and composition, at which time the lens shutter must be open in order for the photographer to see through it. Shutter speeds depend upon the lens in use, but are rarely faster than 1/500th. Leaf shutters are able to offer flash sync at all speeds, which has always made them popular with fashion and portrait photographers. 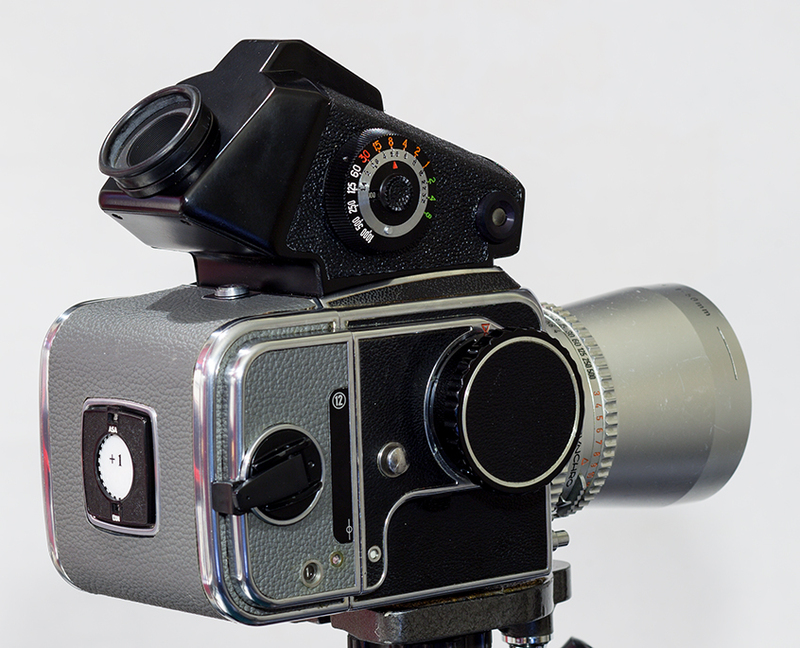 Metering again depends upon the viewfinder in use – the camera body itself has no metering capability, though there have been simple meters that attached in place of the advance knob/crank. As you’ll see if you look at the 501CM, manufactured 28 years later in 1998, everything is interchangeable across over 4 decades of production. There are digital backs available which, maybe someday, might be sufficiently affordable that I’ll use the ‘blads again! NASA, every professional photographer, decades of compatibility, etc. 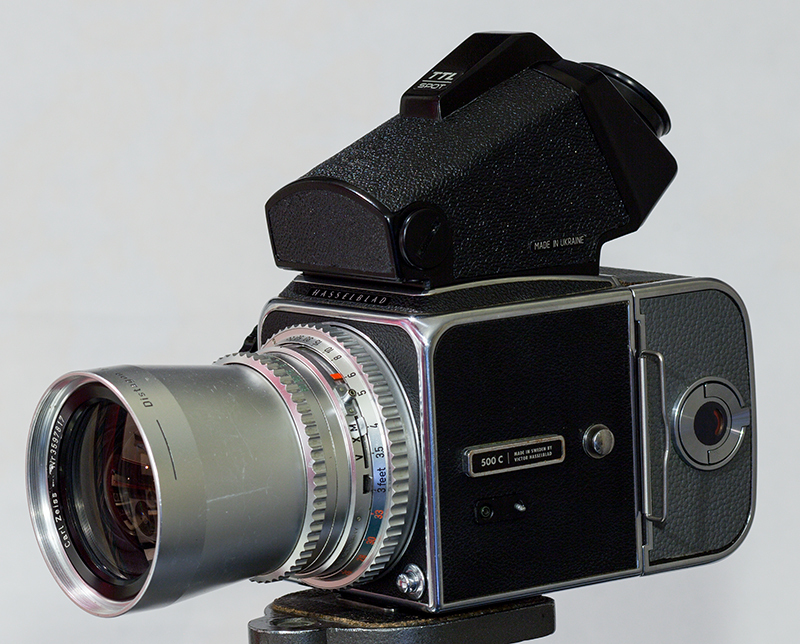 This is from the very last year of production, 1970, and is shown with a 50mm wide angle lens from 1967 and a grey film back from 1980. 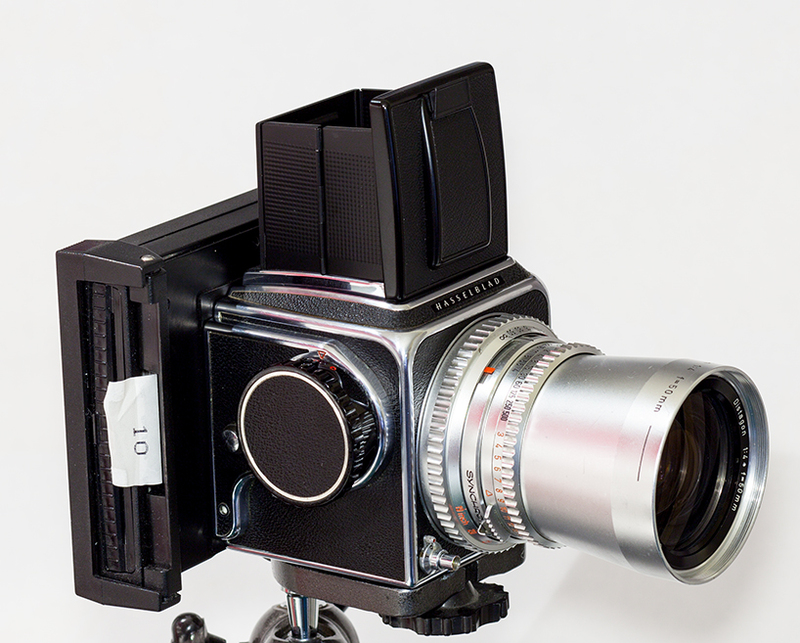 Where once a Hasselblad commanded a premium price, you can find a 500C such as this for around $180 on eBay. 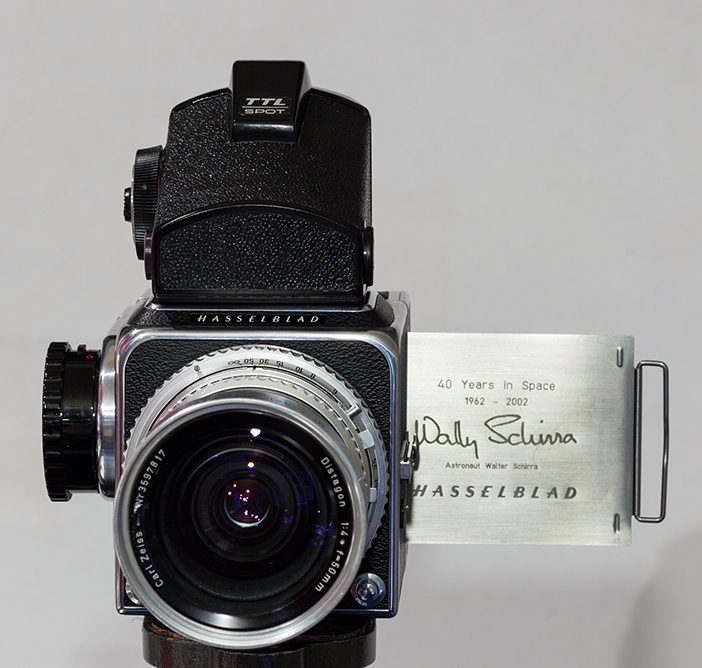 The spot metering prism finder is from Kiev in the Ukraine – another benefit of the Hasselblad having “inspired” so many similar cameras!